Auditions for the 2019-2020 Show Choirs is HERE! Click the link above to get information about the audition schedule and guidelines. To sign up for an audition, please come sign up for a time slot on the bulletin board outside the choir room OR email Mrs. Anders with a range of times that you are available (For example, "I am available between 3:30-5pm") and you will be assigned a specific time slot. Please arrive early to your vocal audition time slot in case we are running early. I am so looking forward to seeing all of your amazing talents during audition week! 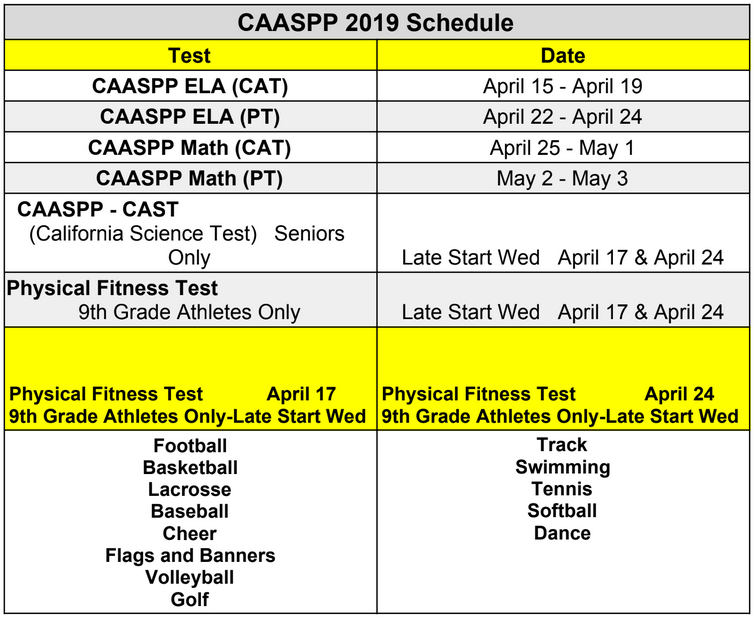 If you have any other questions, please feel free to email me (sanders@hartdistrict.org). Buy your Prom Ticket now! 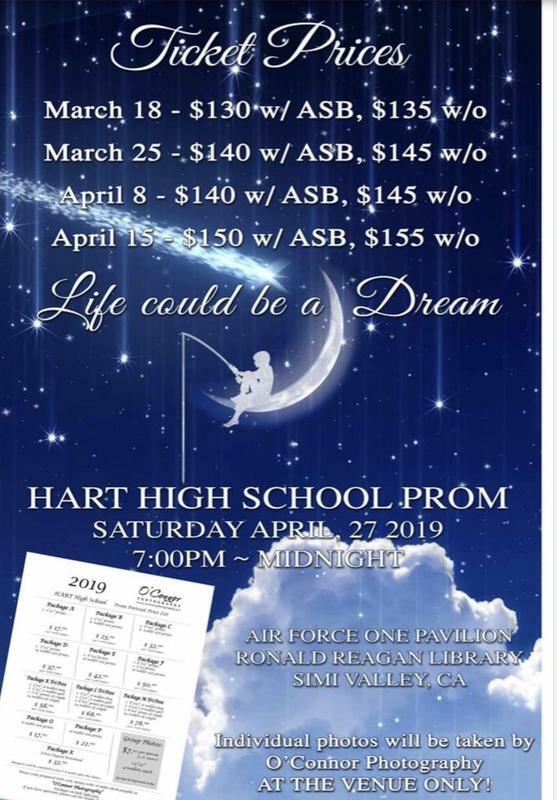 Stop by the ASB office to buy your ticket and receive all the information regarding Prom. 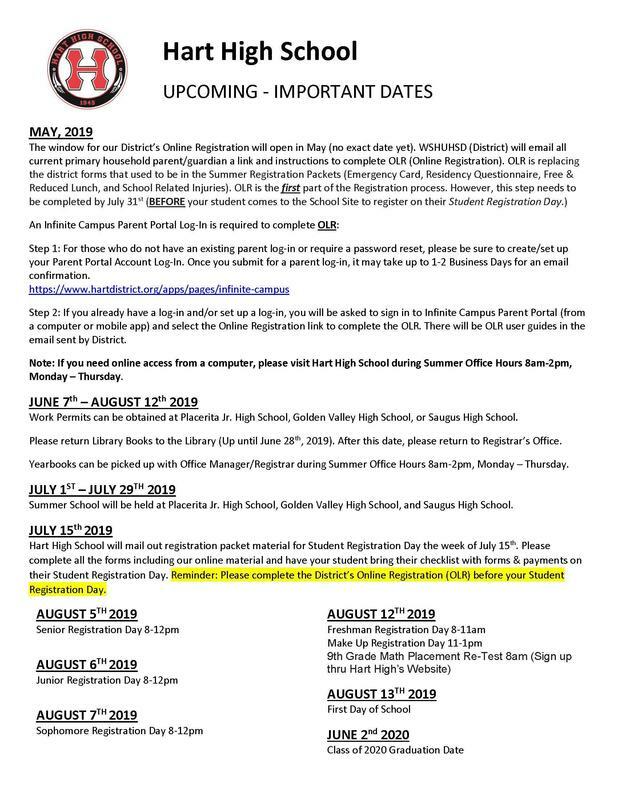 OLR (Online Registration), Hart's Registration Dates, Summer School, etc. Location: At The Oaks C.C.